SA Dog Training College is now offering Therapy & Service Dog Courses in South Africa. There is a huge demand for this and if you are interested, please feel free to contact us. Therapy dogs and handlers play a vital role with regards to working with cases of trauma, head injuries, retirement villages, illnesses, etc. We have a therapy tester, and two therapy handlers, of which one is also a therapy instructor. They are qualified with DELTA, an international therapy organisation. The genuine happiness Therapy dogs can give to someone in hospital who is terminally ill, a traumatized adult or an abused child, etc, is second to none. It takes a special team to do this kind of work, but if this is for you, you will have no regrets. You can be trained and tested right here in South Africa and won’t have to travel overseas, as we are internationally endorsed with the Delta Society. PATus was officially started in 2001 when noticing the need of having TRAINED ANIMAL ASSISTED THERAPY “HANDLERS” and “DOGS” as well as ACTIVITY HANDLER and DOGS. ​Instructions and evaluations are now conducted locally, SADTC Christine van der Westhuizen is an accredited alternate evaluator for Delta® and is conducting the local evaluations in the Gauteng Area. Evaluations will also be available on the South Coast from the middle of next year as Heidi is moving to the coast. 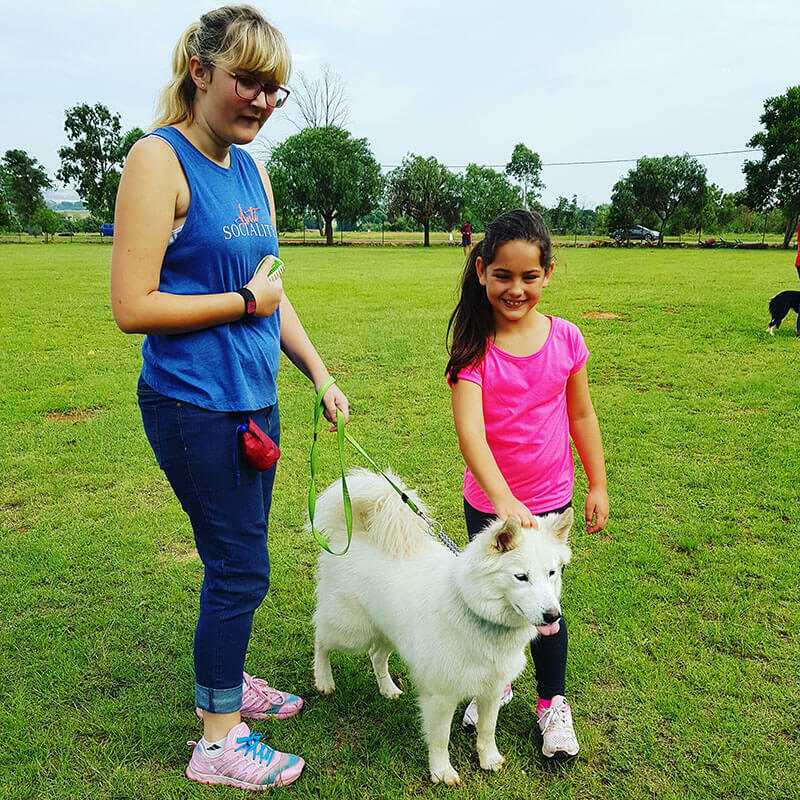 However training of the dogs can be done at any club of your choice for these purposes in SA and we will assist with any problems. Both elements have been brought together with teaching and evaluating handler and dog. Thank you so much for all your help Christine and Martinique. I will let you know. I appreciate you guys. Loved our lesson today. You have a great bunch of very kind, compassionate trainers.